Like everyone else from coast to coast, I was busy last week stuffing my face with food. 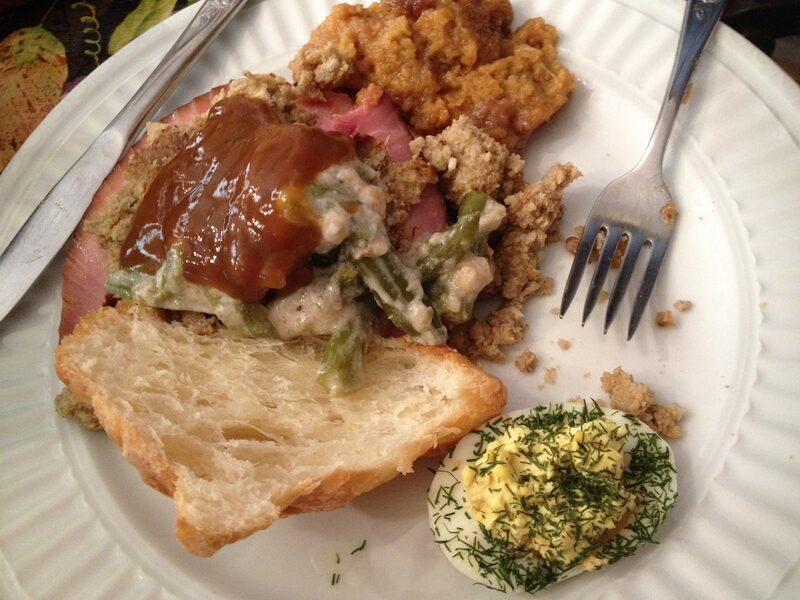 Turkey, dressing, ham, pie, some kind of green, squirmy, jello-thing. Whatever was set before me, I ate. Unless it had green beans. My mom makes this casserole which apparently people that like green beans think is really amazing. I’m sure it is. If green beans don’t make you want to vomit. Then my wife created this abomination the day after. Sort of like a Thanksgiving dinner afterbirth. I was both horribly revolted and incredibly proud of her. Speaking of desecrating holidays, I had the chance to pretend to be a Nazi this weekend. My nephew brought his copy of Axis and Allies along with him. Yeah, I know, there are better board games but this classic feels like a rite of passage perfect for little geeks-in-training. 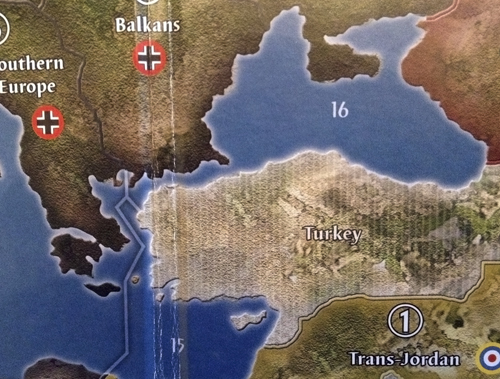 This particular version was what I call 1941 Axis and Allies “lite”. They’ve removed cruisers, artillery, AA guns and placeable factories. They’ve also altered the IPC table and unit costs. I think the aim was to create a faster paced game, however, while setup takes less time, the problem we ran into was due to the lower income and higher unit costs, sustaining any kind of campaign was difficult. Play still took hours to complete as you got into later turns with fewer and fewer units to make things happen. The first game I followed the typical strategy of crushing Russia with Germany early and then having Japan play defense, skipping the opening Pearl Harbor move. This led to a decisive Axis victory. History changed. Next game, I decided to go super aggressive and try new things. An early invasion attempt of the U.S. and Panzers on the streets of London wasn’t quite enough to change history. Russia, left unchecked, became a constant thorn and Japan’s invasion was turned away somewhere off the California coast. While I was proud of my nephews beating back my invasion, I was also pleased with my extended family and friends. During the Thanksgiving break, my social media feeds were pretty damn quiet. In fact, even the holiday sales stumbled a bit. Nationwide, the focus seemed to be more on the actual holiday. This is good. Great even. Though it did spur something I’ve been debating for a bit. You may notice a few of the eBook markets for Crimson Son slowly disappearing. After reviewing my figures for the past five months, I’ve decided to take a new direction. I’ve decided to sell the eBook exclusively at Amazon through Kindle Direct. You can still find the paperback at local retailers in the DFW area and at numerous online outlets. I don’t plan any changes there. But so far, the vast majority (90%) of my eBook sales has come from the ‘Zon. Between that and a few spats with Smashwords (who distributes to the other markets) and I’m ready for a change. I may return to the other markets after giving Amazon exclusive a shot. If so, I’ll probably upload to select retailers individually so that I have more control over pricing and product details. Either way, I plan to keep providing great stories for fans and family alike. Nazi invasions, Thanksgiving abominations and wrestling with the 800 pound gorillas of the world, we’ll keep things interesting here for ya. Previous PostCrawling Up Your Own WormholeNext PostZon! Zon! Zon!